Herşeyi ile hem taşıması kolay hem sesler güzel hemde fiyat performans açsından en mantıklısı. 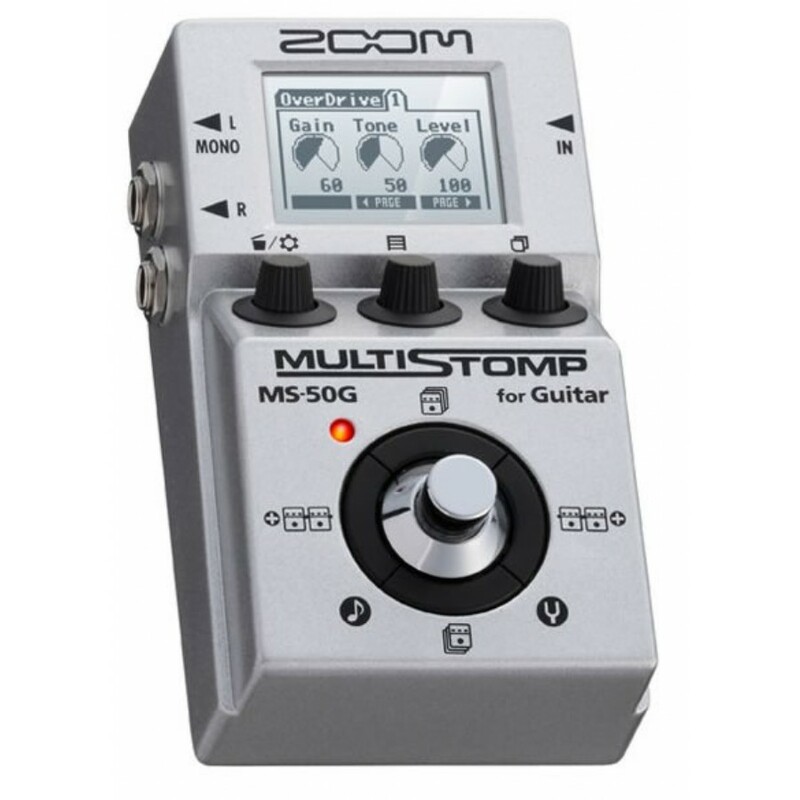 Zoom's MS-50G MultiStomp Guitar Pedal is the first of its kind. 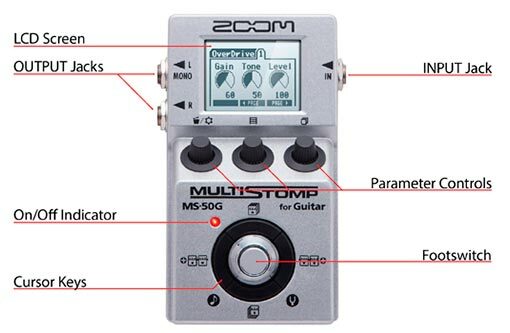 It offers the power of a multi-effects pedal and flexibility of an amp modeler in a single stompbox design. 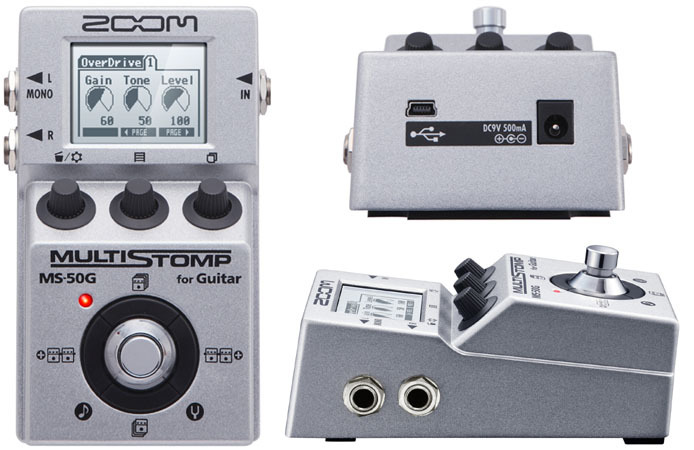 With 55 classic stompbox effects and amp models, easy-to-use interface, auto-chromatic tuner and versatile power options, guitar players will be astonished with how much this single stomp offers. The LCD shows the current effect in use, while the scrolling function allows you to easily view the flow of your effects chain. With this intuitive, easy-to-use interface, creating amazing sounds is a breeze. 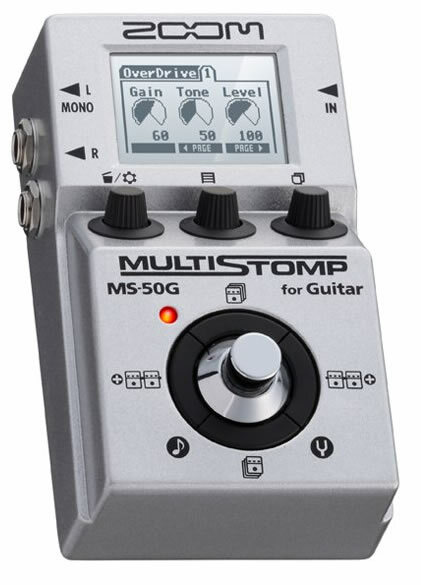 Cut down the size of your pedalboard by adding in MS-50G to the mix. From a single pedal, you’ll have 55 effects types waiting at your feet to be called-up no matter have often you need them.